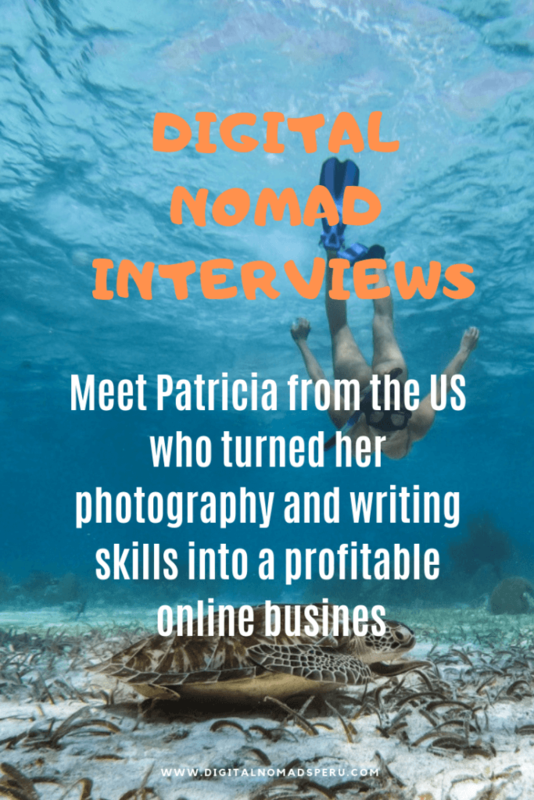 Today, I’m glad to feature Patricia on the blog as my second digital nomad interview partner. Did you miss the first interview? Click here and meet Dayanne from Brazil. It’s the aim of this series to introduce you to people with various professional, personal and cultural backgrounds to show you that everyone can pursue a lifestyle of traveling the world while making money online – either temporarily or permanently. 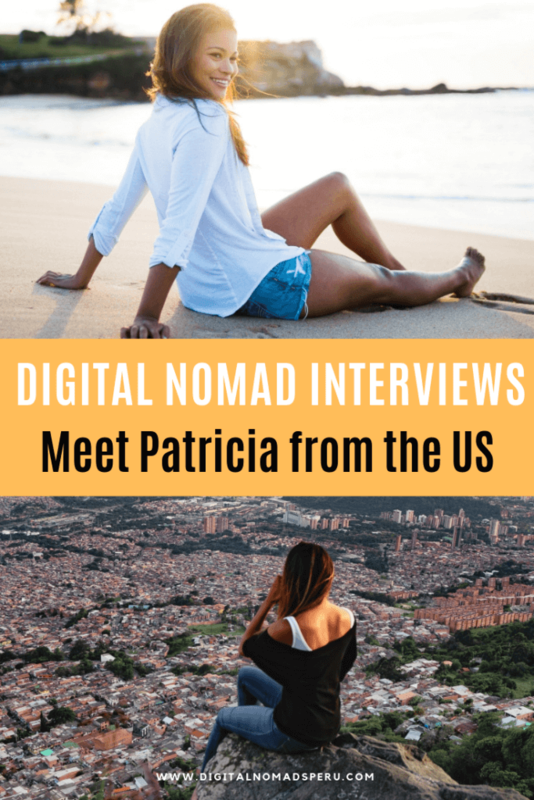 Before I start asking Patricia my questions, I’d like to share her and her boyfriend’s blog and social media handles as I’m sure you’ll want to find more about here after having read the interview. 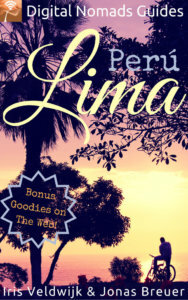 This post may contain affiliate links, which help to maintain Digital Nomads Peru. Making a purchase by using any of these links doesn’t result in any additional costs for you, of course. Digital Nomads Peru is a participant in the Amazon Services LLC Associates Program, an affiliate advertising program designed to provide a means for sites to earn advertising fees by advertising and linking to Amazon.com. I only recommend goods and services I believe are useful and reliable. Hi Patricia! Please tell us a bit about yourself and your background. 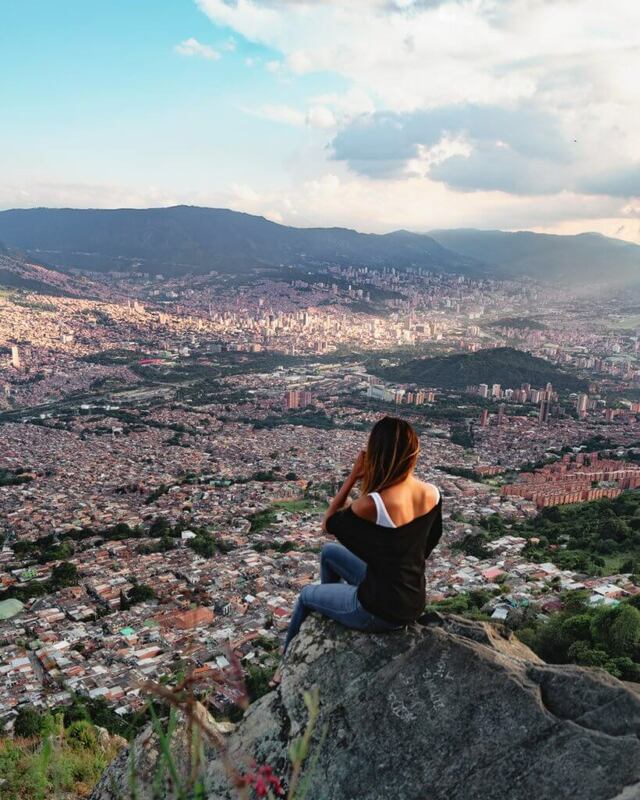 Why and when did you set off as a digital nomad? Hi! I’m Patricia! 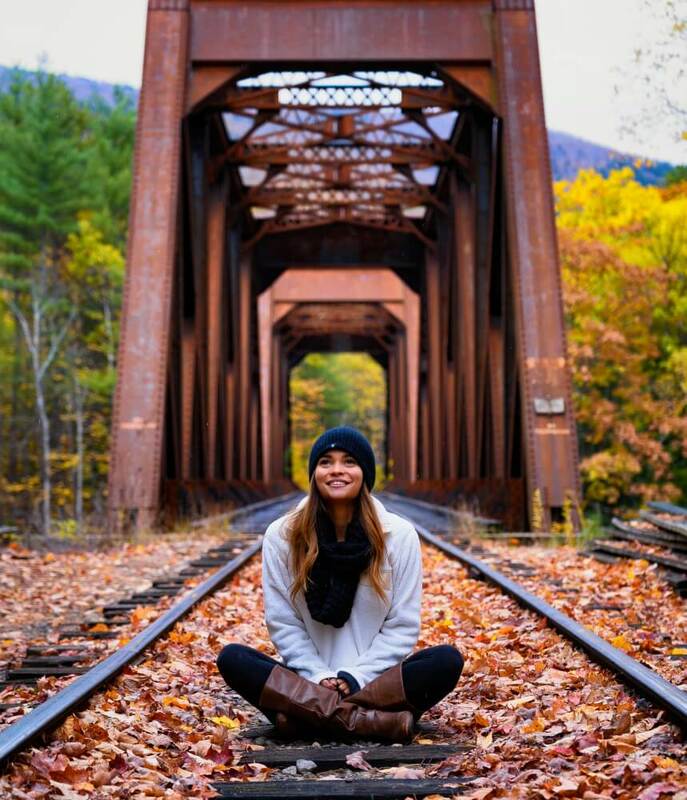 I’m 24 years old and am a US-based travel blogger and content creator. I grew up in a small town in Connecticut to my amazing Dominican parents. From the beginning, they taught me to appreciate different cultures. My mother would only speak Spanish to me, and show me the ways they’d do things back home. At first, I didn’t understand why my parents couldn’t be like everyone else in America (or at least where I grew up), but as I got older I started to appreciate more and more the struggles they went through immigrating and starting a new life I America. I wanted to understand what it was like to move somewhere new and I didn’t want to wait until I was older, so during university, I studied abroad at the first chance I could and went to the furthest place I could think of: Australia. It was there that I felt like I figured out who I really was. For the first time in my life, I had the freedom to do ANYTHING I wanted. I ended up buying my first camera of a whim, joining the photo club, and learning how to scuba dive. Coincidentally, or perhaps by fate, those are two things that defined the rest of my life and have allowed me to be where I am today as a digital nomad. After coming back from Australia, I had itchy feet for travel! I couldn’t stay at home. So, I started to try and travel at every opportunity I could. Every single break, and somehow convinced the school to let me study abroad three different times! After I finished, I decided to take a 6 month “break” from the real world, and do a scuba diving internship in Indonesia. The goal was to get my divemasters and then explore before coming back home and potentially working. I ended up meeting Tom, my partner, on the second day of that trip. He was also there doing the same thing, one thing led to another, and 2 years later we haven’t stopped traveling! After our time in Indonesia was over, we didn’t want to say goodbye. We were from different countries so it’s not like we could make that magically work, at least not forever. So, we decided to start a travel blog together and use our skills in photo and video to help us travel the world for free! So, we started Cheap-ish Travels, because that’s exactly what we were doing.. Finding the cheapest way to still do cool things! An attempt of living luxuriously on a backpacker’s budget. We spent hours and hours every day working on things that would better ourselves and help us grow. Little did we know we would not only be able to travel for free but also get paid to do so. It kinda seems to be the way things work though.. you start to run out of money and are forced to find a way to make things work.. so you do. What has been the most rewarding thing you’ve done? Learning a new language and culture! My first experience of living abroad was in Australia. And while I loved it, it was still a little too similar to the US. A year later, I decided to study for a year in Brazil. I showed up not knowing a word of Portuguese. and needing to learn quickly because not only were all my classes in Portuguese, but no one I lived with spoke English. It was so frustrating at first, and even after a while when I could communicate, I still couldn’t express myself. I loved the language and the country though, so it came easily to me. After a year, my Portuguese was fluent and I was able to discover the real Brazil. There is so much more you can discover and learn when you speak the native language, and it is something I am forever grateful for. It also makes you learn to accept that people do things differently. This seems obvious, but there still exists so much hate in the world simply because people can’t understand why others do things differently than them. I think learning to be okay with that is something that could change the world if everyone understood that. That’s part of why I’m doing all of this. I understand the power and influence that visuals and storytellers can have, and I want to show the beauty of the world and the beauty of all the different cultures and ways of life. I now speak 3 languages (English, Spanish, and Portuguese), and have found that it has helped me so much with traveling. There is so much more you can discover and see when you can communicate. Tom has been wanting to learn Spanish so we’ve been going to mainly Spanish speaking countries and it’s crazy how differently we are treated based off of who speaks. So learning a language, at least a little bit, is definitely a good skill to have! You travel with your partner. Which advantages and disadvantages does this have? Ah, so many! A little backstory: I’d never really traveled with anyone else. All the traveling I had done prior to meeting him was mainly solo, so it was a big change when we met and started to travel together! A few things got a lot easier from the start. Traveling as a female can be tricky in some areas. I’d always have to be extra cautious about what I would wear or the places I’d go. Traveling with him (Tom) makes me feel a lot safer at times. There are some other perks too I no longer had to find a random stranger to take a picture or use a tripod haha. It’s also helped in times of emergency. It’s a lot different though. Before I would just kind of do what I want, and now I think of things we’d both want to do or what he might want to do that I wouldn’t. Luckily, we both have very similar interests, which is one of the reasons I think it works so well. If one of us wants to do something, chances are the other wants to as well! It’s something definitely not for everyone though. You get to know some very quickly, and you get to know EVERYTHING about them. It can get kind of lonely actually traveling with your partner. 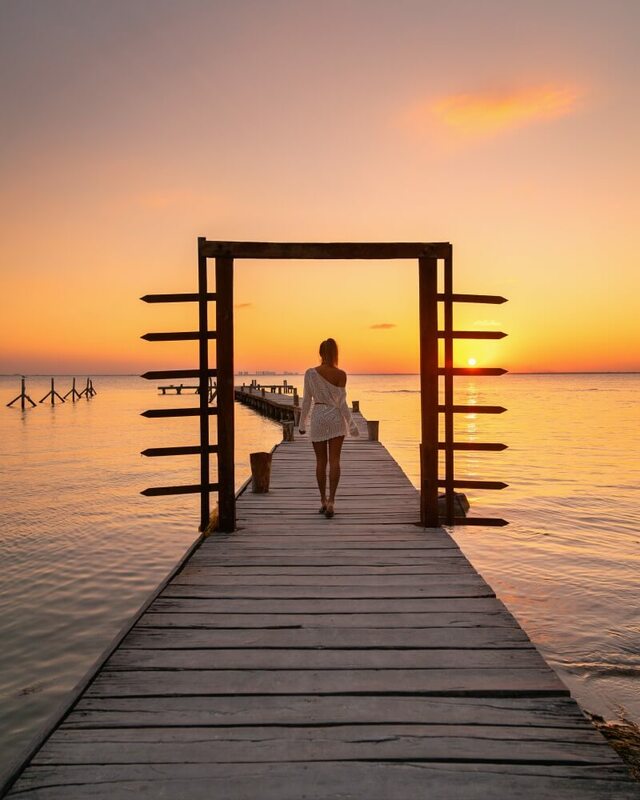 When you travel by yourself people are so much more prone to introduce themselves, whereas when traveling as a couple it’s possible to go an entire trip without having to socialize. We’re both pretty social though and manage to always make a few friends wherever we go! Another “disadvantage” is that we have absolutely no idea how we’ll be able to have a honeymoon. It’s not a bad problem to have at all.. but doing what we do, we get to work with a bunch of hotels that are “Couples Orientated”. That being said, we get the most romantic trips. We recently stayed at the #2 most romantic hotel in the world and it’s like.. how do we beat that? Which continents/countries have you already visited? Do you have a bucket list of places you’d like to see? A few times a year Tom and I will sit down and write down all the countries we want to see, and then compare lists. It’s funny though because you’d think we’d eventually get through them all, but it seems like the more we travel the more places we want to see! So far, I’ve been to 4 continents (have somehow managed to not visit Europe yet! But that will change next year hopefully!). As for countries, I’ve been to 17 so far. I like to take my time and travel slowly to experience the culture and see some unique locations. So far, I’ve been to Dominican Republic, Australia, New Zealand, Ecuador, Brazil, Chile, Colombia, Aruba, Jamaica, Haiti, Mexico, Canada, Singapore, Indonesia, Costa Rica, Belize, USA, and soon Peru! For places I’d love to see, I really want to go to the Maldives, Bora Bora, Sri Lanka, and South Africa! My ultimate dream trip though might actually be a trip to Antarctica (South Georgia Islands). So basically beautiful beaches and amazing wildlife! Those two things always call my soul. How do you handle work vs travel/sightseeing time? By not drinking! This is probably the deciding factor on how productive I will be on a trip. Some places are easier than others, but we’ve stayed at all-inclusive resorts where they literally just have free wine everywhere (sooo hard to turn down), but I have to remember that if I want to get something done it won’t be that way. I try to stay outside and do activities during the day (plus you need light for photos and videos!) and then once the sun goes down I’ll sit down and do work. Another big one is not being on my phone all the time! It sounds a little counterproductive, but when you start to pay attention to it, you start to realize that it’s taking up way more time than you thought! How long do you plan ahead? What are the advantages and disadvantages of planning ahead, in your opinion? In an ideal world, I like to plan at least 3 months in advance. Flights are generally cheaper, and you can get more organized. For us, when it comes to working with hotels, the earlier we can make that agreement happen the better. Also, it gives you time to research things to do in the area. I can think of a few places I went to blindly and want to go back simply because I didn’t know of a few amazing things they had to see or do since I didn’t look into it that well. It also gives you a chance to ask others. When I’m thinking of going somewhere I’ll ask Instagram for recommendations via my story, and find that I get a lot of ideas and suggestions that way! The earlier you plan, generally speaking, the more of a schedule you tend to make for yourself, which can sometimes be a disadvantage. I think it’s soooo important to remember if something doesn’t go as planned it’s still okay. Another thing is that you never know what will happen, or what opportunities will come up.. especially when planning way ahead in advance for longer things. For example, we have a 4-month sailing trip coming up that we planned almost a year in advance thinking we’d absolutely be free. As it starts to come closer there have been a few offers we’ve had to turn down that we would have otherwise LOVED to do. You win some, you lose some. How do you choose your accommodation? What kind of accommodation do you like best? Why? I usually choose whatever’s cheapest haha. I also try and think of what makes the most sense for that area. 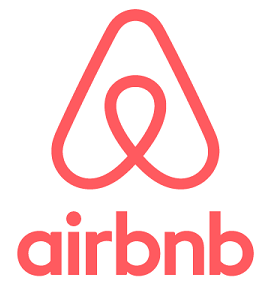 If we are going to a well-established area with a lot of major hotels, we’ll probably reach out to a few hotels and try to work together with them. However, if we’re going to a place that is very cheap to stay in, we will probably opt for that! We have an upcoming trip to Peru where we will spend most of our times in cheap hostels, and focus on enjoying the excursions. We love trying to find places that are as cheap as possible, and if we have to spend money somewhere we’d rather spend them on experiences. If we need to do work, we’ll keep that in mind and either make sure the place we’re staying has a desk and internet or a café nearby. How and where do you like to work? Why? On another note, I prefer to not work at cafes (coworking spaces are okay but I have this weird thing where my back has to be facing a wall). I find that random people always looking at my computer screen can be SUPER distracting, especially when I’m editing photos. For that reason, the first thing I look at when I stay somewhere will be the desk/work situation. Do you have plans to settle down one day? If yes, where? Eventually yes! I just turned 24 years old, and the more I travel the more I know I made the right decision to travel young. I do want a family one day, but feel it will be so much harder to do what I’m doing now with children. And while I do want my children to have experience in other cultures, I don’t want to have to have them bouncing around every year and always changing schools. So for now, I’m seeing as much as I can until we decide to settle down. For now, the plan is to settle down in Australia. Tom is from there, and we both prefer the slightly more laid back and beach vibes they have. It’s also absolutely GORGEOUS, was the first place I ever chose to travel to. I feel like it’s been home ever since. 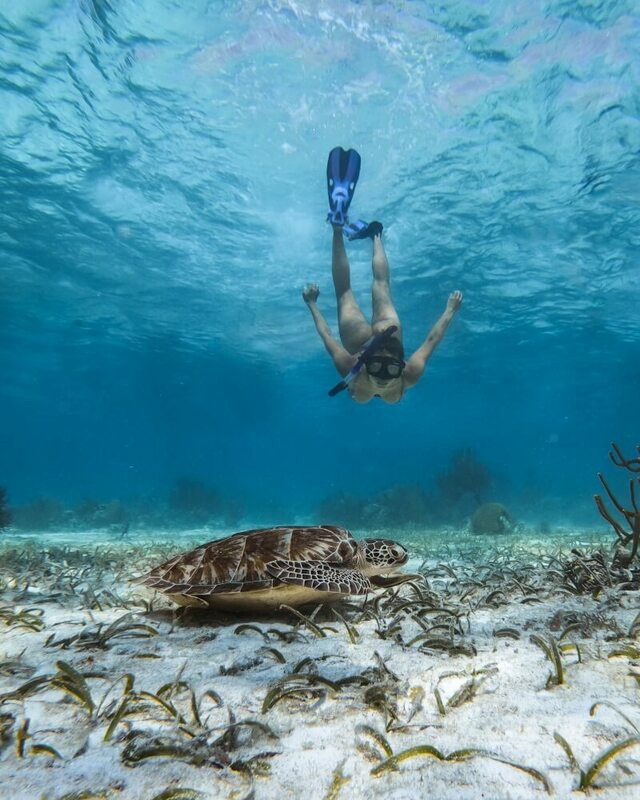 Plus, I’m a huge wildlife lover and scuba diver, so there’s really no better place to be than there! But who knows what will happen! Any recommendation for people who would like to start a nomadic life but are not sure how? Reach out and ask others who are already doing it! I try my best to respond to every single person who reaches out genuinely asking for advice or that has a question about this lifestyle, and I know most others do too! It’s important to know we’ve all been exactly where you are now and also had no idea where to go for information and for that reason we want to help you because we know exactly how nervous you might be, and exactly how much of a difference it makes when someone helps you. I can’t speak for everyone, but I can guarantee if you ask genuine questions, they’ll most likely get answered. You might even get more than what you asked for, and even make a really good friend. So reach out! Also, believe in yourself! In the beginning, it can be very disheartening seeing how “successful” other people are, but know that it didn’t happen overnight. My family wasn’t the most supportive at the beginning because they simply didn’t understand how I could make money without having a “real job”. And it took a VERY long time for them to realize this is something that is sustainable. But now, they are extremely supportive. If your heart is telling you to go for it, then do it! And if you ever feel like no one is here for you, just know that I am. Learning how to use a camera has helped me more than I ever thought possible.. but it kind of makes sense. When you look at the accounts of people who have absolutely crushed it versus those who are doing all the right things and are having a hard time getting up to that next level, the thing that most likely separates them is their photo quality. I started out learning how to use my first DSLR camera by joining the photo club at university. They had outings where we’d all get together and go shoot sunset or something. I found this really inspired me, because I’d see photos from others who were at the exact same place as me at the same exact time but were soo much better. I wanted to get that good, and it helped me recognize how important it is to capture something properly. After that, I watched HOURS and HOURS of videos on YouTube. Skillshare is another good place to learn. But most importantly, I practiced! Photography also helped me to explore more. It’d be both a reason and excuse to get out of the house and go somewhere.. anywhere really. The world is a playground! Did you like the post? Then why not share it on Pinterest? Muchas gracias!